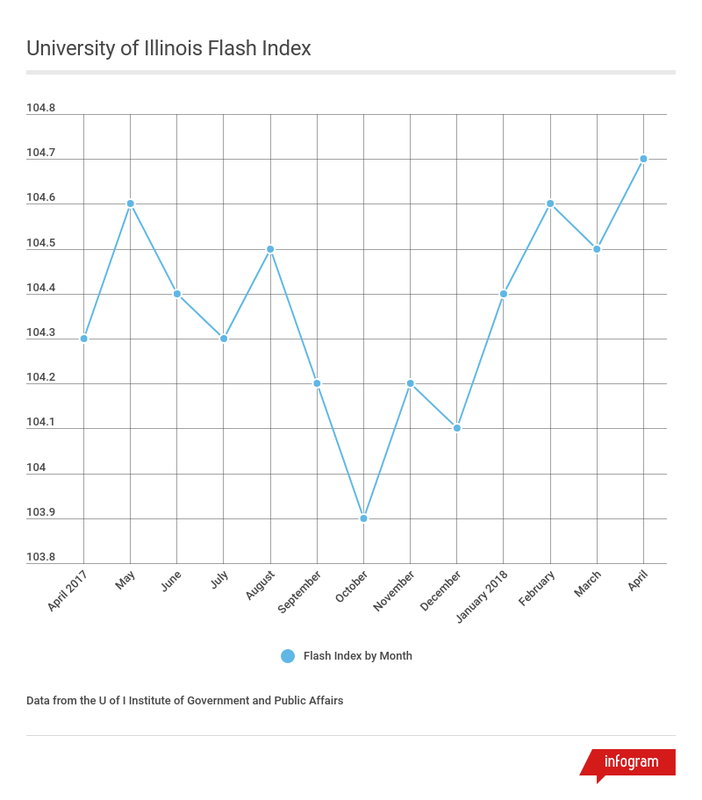 A chart showing the readings of the monthly University of Illinois Flash Index over the past 3 years. The Flash Index, a monthly index of the Illinois economy shows it at its highest level in more than two years. The index sponsored by the University of Illinois reached 105.1 in August, up from 104.9 in July. Those numbers are relative to a scale where anything above 100 reflects economic growth. The last period the Flash Index reported economic contraction in Illinois, with numbers below 100, was the period of December 2008 to February 2012. While the Flash Index is at its highest point since June 2016, it was consistently higher than 105.1 from April 2013 to February 2016. The higher numbers, which peaked at 107.1, ended during Illinois’ state budget impasse, with no sustained improvement occurring until spring of this year. 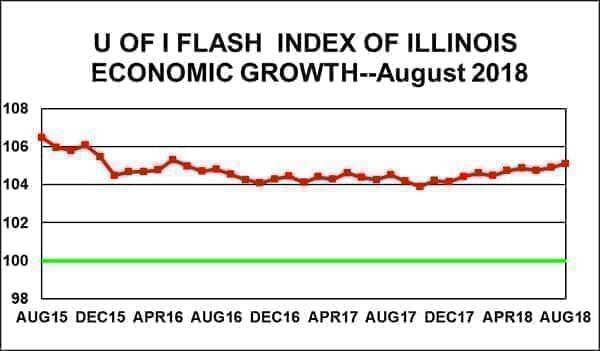 Economist J. Fred Giertz, who compiles the Flash Index for the U of I’s Institute of Government and Public Affairs, says the current 105.1 figure actually reflects more economic growth now, compared to the higher readings of a few years ago. He says that’s because the Flash measures the rate of economic growth, in relation to what is now a larger state economy. Giertz says the Illinois economy has grown as the nation’s economy has grown, but has consistently lagged behind it. However, he says the state is catching up. Giertz says one sign of that catch-up is Illinois’ unemployment rate, which has fallen to 4.2 percent. 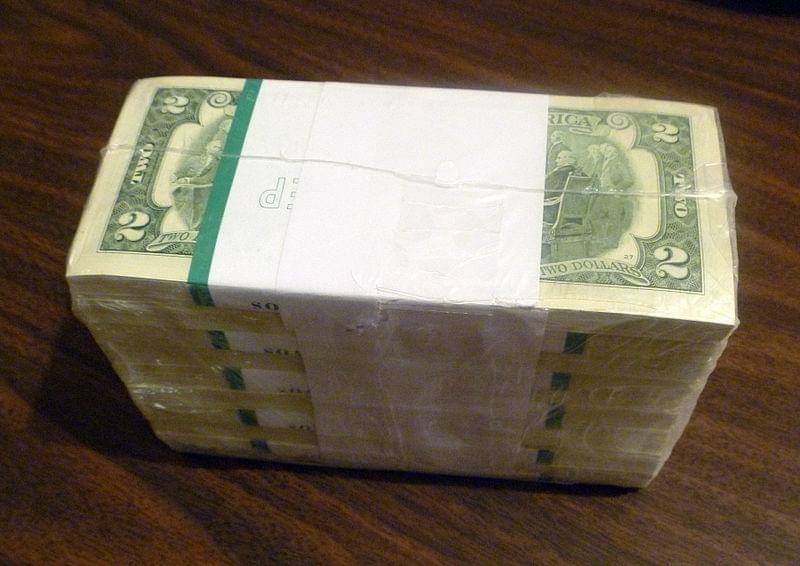 The Flash Index is based on Illinois sales, corporate and individual tax receipts, all of which were up in August. Giertz says the Flash Index doesn’t predict the future. But he says he agrees with many economists who believe the state and nation can expect continued economic growth for at least the next several months.